Has been called Ballymanus Hill. 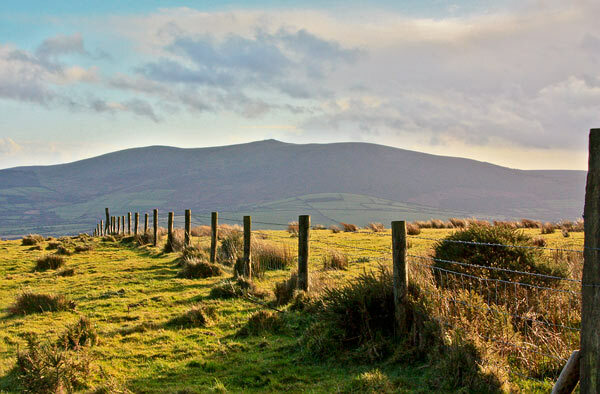 Preban Hill is the 975th highest place in Ireland. Picture from group : Looking SW from Preban to Croughan Kinsella. Picture: Looking SW from Preban to Croughan Kinsella. It is possible to start to the north at T09186 80205 A while a more interesting approach can be made across fields and bog from the west starting at T071 806 B. For the former route the OS sheet 62 is reasonably accurate as regards tracks. The latter route crosses farmland so it is courteous to check with local farmers, who have granted access previously. Preban Hill is forested, and the summit area consists of a junction of forest tracks. 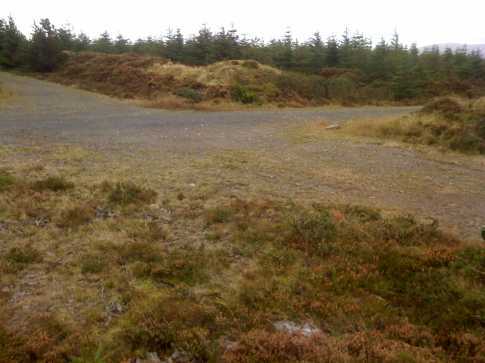 The highest point appears to be nothing more than a grassy ridge alongside the junction. A Trig Pillar indicated on the map does not appear to be present on the ground. 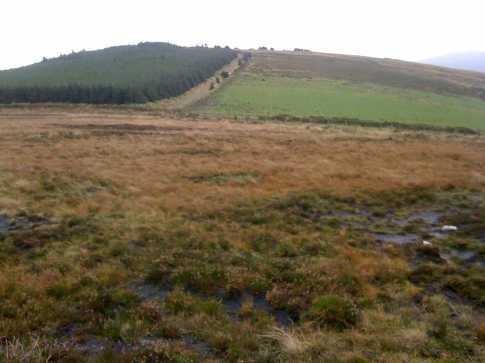 Picture from wicklore : View of Preban Hill from the bog to the west. Picture: View of Preban Hill from the bog to the west.